Let’s start with your story… No one knows it like you do, and definitely no one can tell it the way that you can. We believe that your journey can inspire others to start living fuller, holistic lives, so that they can find the energy within themselves to overcome challenges that they never thought were possible. Believe it or not, your journey has the power to transform someone’s life! Are there any rules? None!. Share to your heart’s content, be as open or reserved as you like. This is your story! Once you’re done, we’ll fix up any grammatical errors, and send you your transformation photos for approval before uploading them to our Enterprise blog. This will be followed by a Facebook post that links to your blog post, with a special shoutout to you! Your transformation photos are for you to keep and cherish, so feel free to upload and share our post wherever you like! If you’re struggling to write something, we’ve provided some example questions below. You won’t have an answer to all of them, and that’s okay! Feel free to answer only the questions that you are comfortable with, or ones that resonate with you the most. Tell us a bit about yourself, is there something that you think would surprise people? Did you have an interest in health and fitness before training with us? If so, what did you used to do? What were the greatest challenges that you faced and has Enterprise Fitness been able to help you to overcome them? What was the instrumental point in your life that made you decide that you wanted to train with Enterprise Fitness? What was your first impression of Enterprise Fitness? In your experience, what makes Enterprise Fitness different from the rest? What makes you come back every session? Tell us about how training at Enterprise Fitness has changed you (This can be physical, mental, spiritual… this question doesn’t have to be numbers based… Be creative!). Who have you been training with and what makes your trainer someone special? What have you learnt from training with us and how do you think that could benefit you in the future? 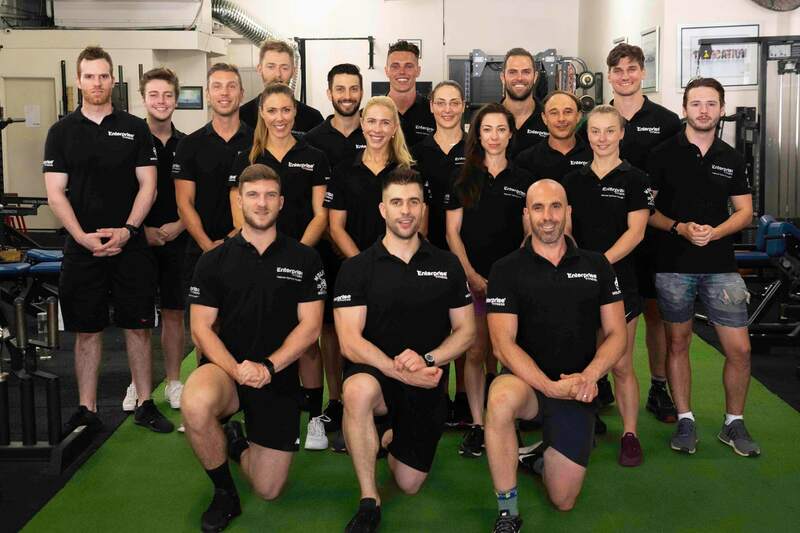 How do you think others who are in the same position or circumstances that you were (are) in could benefit from making the decision to train with Enterprise Fitness? Again, you do not need to answer all of these, use them to prop you in documenting your journey. It can be as short or as long as you like! We look forward to celebrating your success and it’s been an absolute honour to have you as a part of the Enterprise family. If you have any additional questions, or if you’re ready to submit your story, feel free to email or approach Liz ([email protected]). We hope to hear from you very soon, and we look forward to helping you inspire others with your incredible transformation story! In the meantime – Train Hard, Eat Well and Supplement Smart!